Gillian Willis isn’t having an easy time running an ice farm at the Martian north pole. Her father’s missing, the bank is breathing down her neck, and now dragons are attacking! If it wasn’t for one gorgeous dragon shifter who puts himself between her and harm, she’d be in real trouble. He’s the sexiest man she’s ever met, and the bravest. That’s the good news. The bad news is that he claims to own the land her family’s farm is built on. Even though he nearly got himself killed saving her from the other dragons, Gillian isn’t sure she can trust him. But does she have a choice? 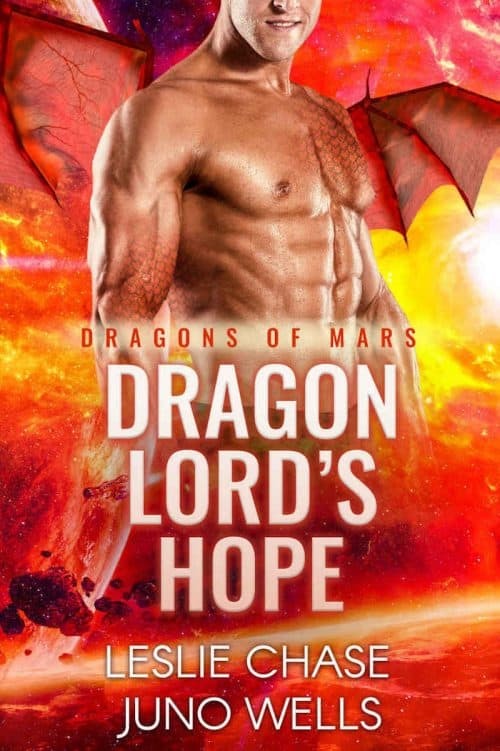 Zardan, Dragon Lord of Herendar, has nothing left to live for. All his lands, his family, everything he knew and loved was buried a thousand years ago when the Dragon Empire fell. It’s almost too much to bear – until Gillian drags him off the ice and he realizes that she is his mate. It should be impossible, it defies his understanding, but it’s true. The feisty human female is his and he won’t allow any harm to come to her. Will that be enough to rekindle the fire in his heart? Can he convince Gillian that they belong together? Or will the gulf between human and dragon shifter be too large for any sacrifice to bridge?